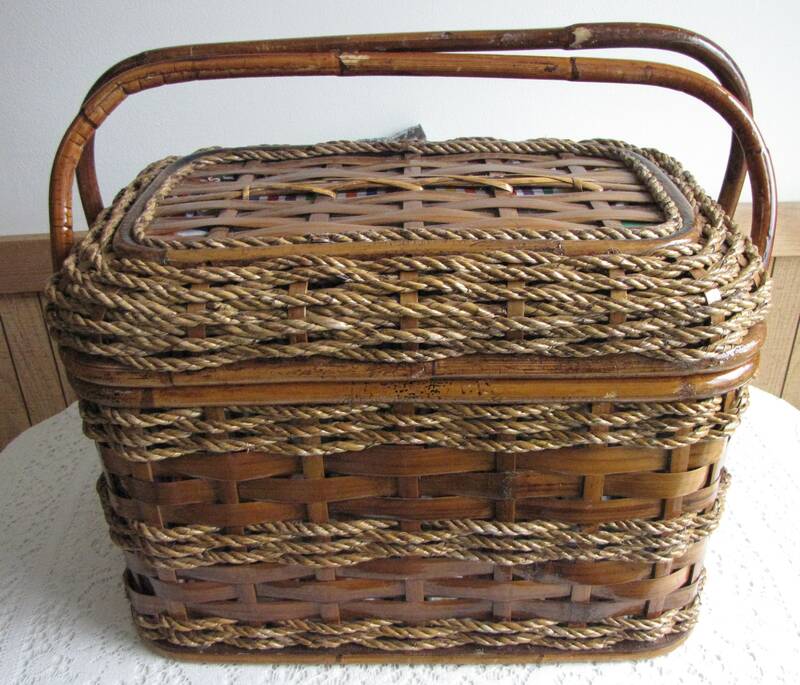 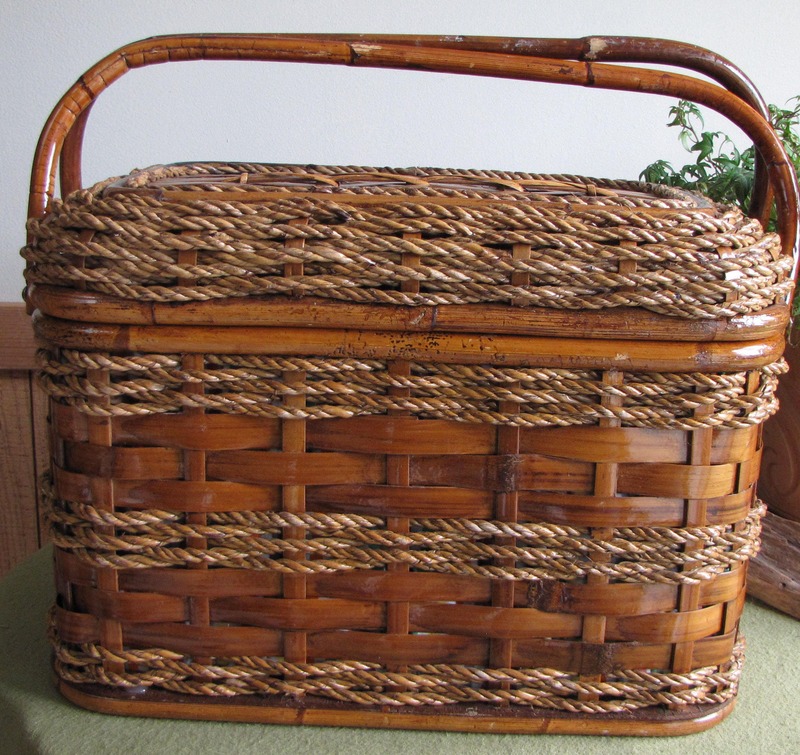 It is a very cool picnic basket in very good vintage condition! 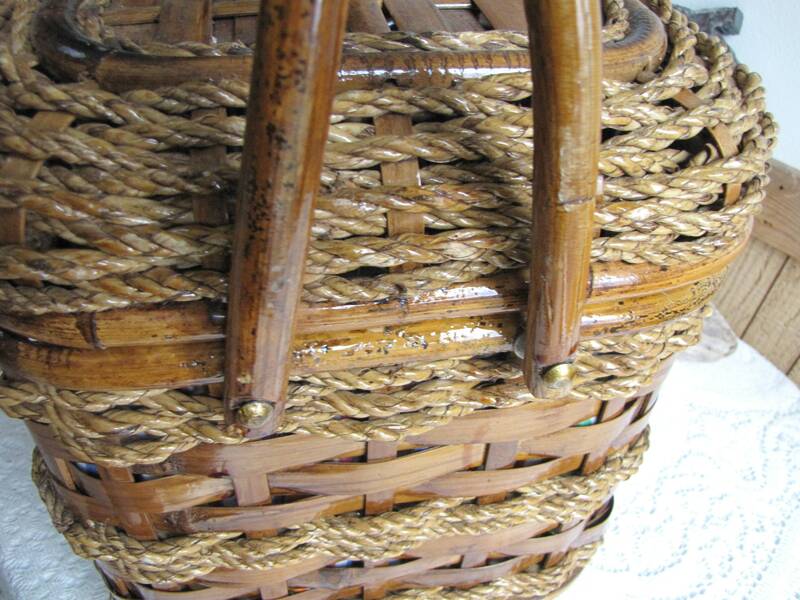 It is made of rattan and has glazed/coated roping wrapped around the woven wood slats. 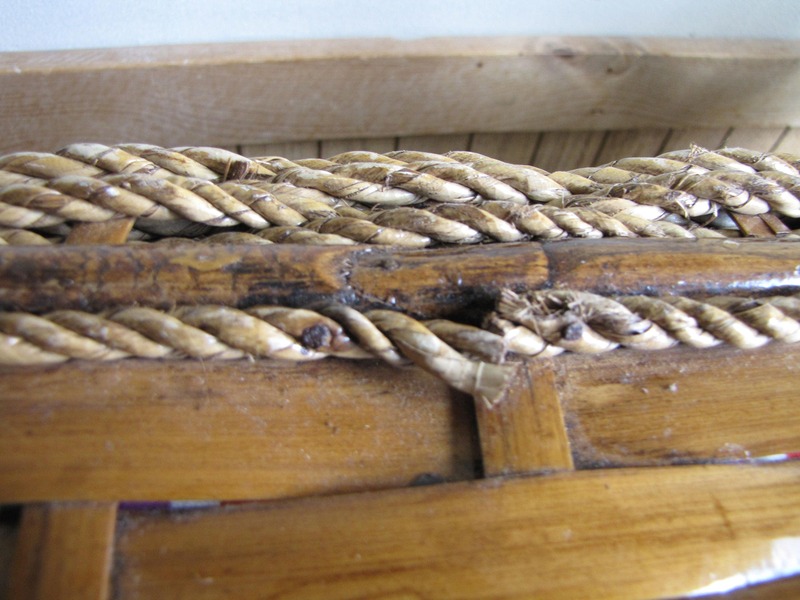 It has one piece of rope that is unglued on the top (not too badly and see pictures). 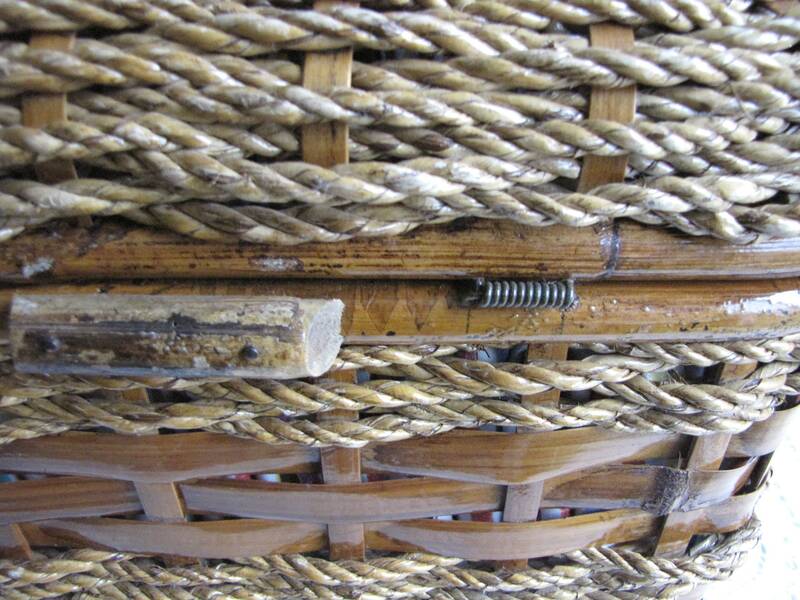 The hinges are springs. 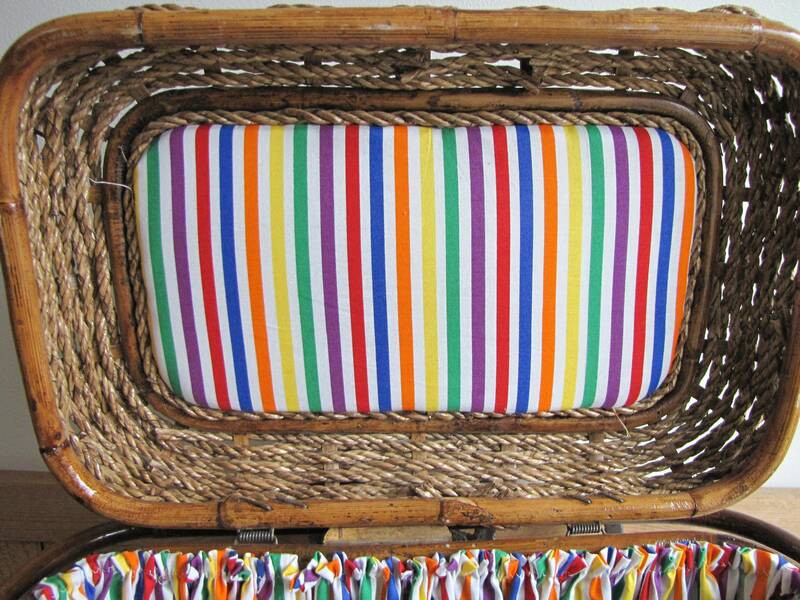 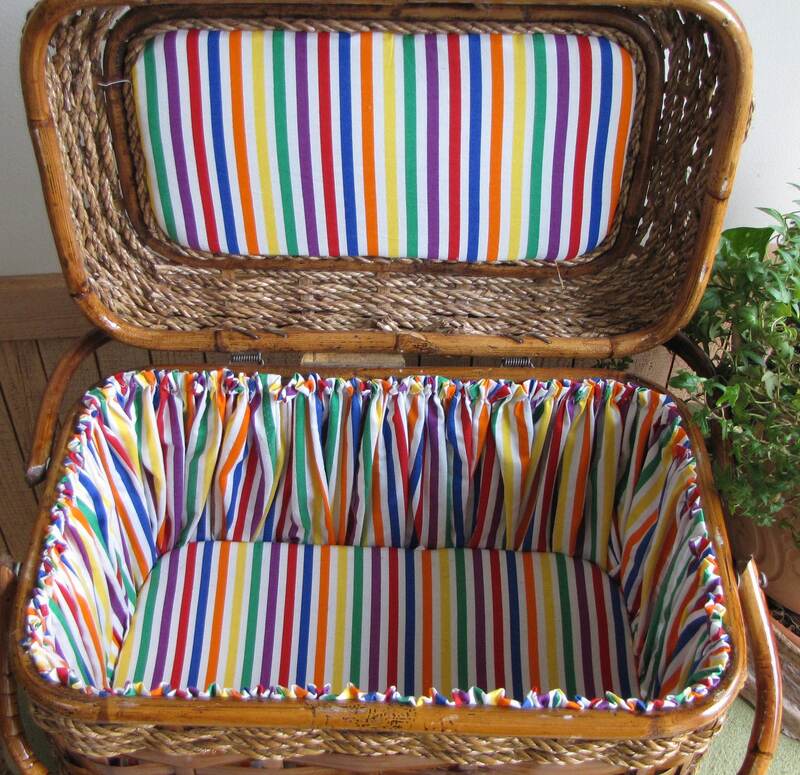 The inside is this wonderful material of rainbow colored stripes. 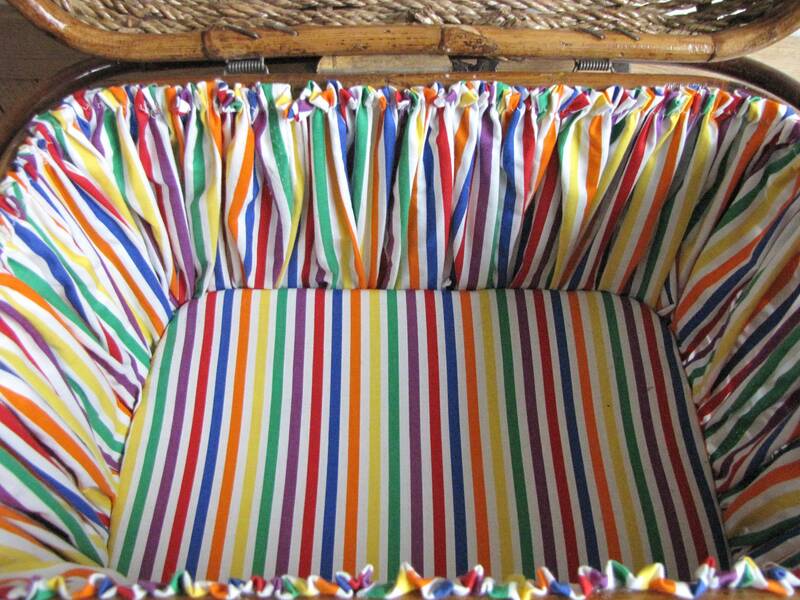 The bottom and the inside top material is also padded. 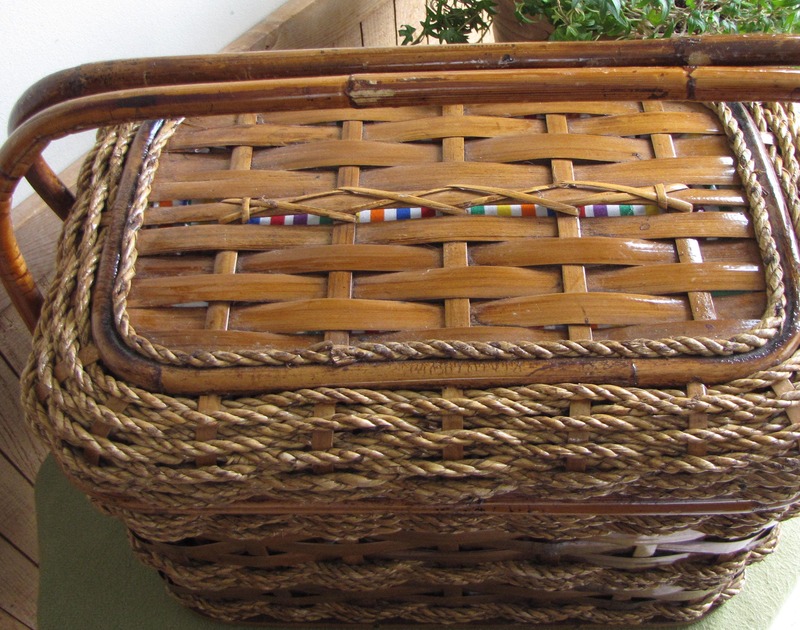 It is a great outdoor picnic basket. 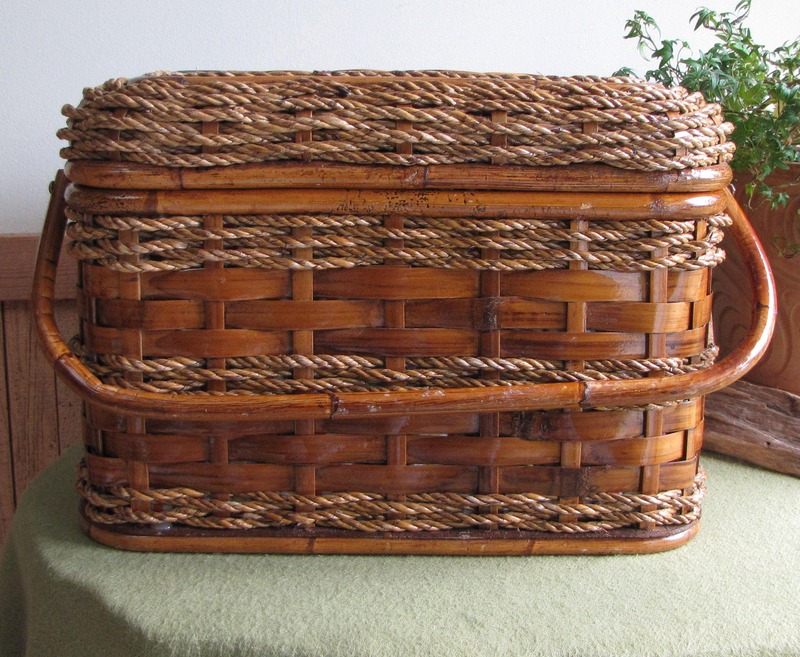 The basket measures 12 inches tall and is 17” x 11” inches across.